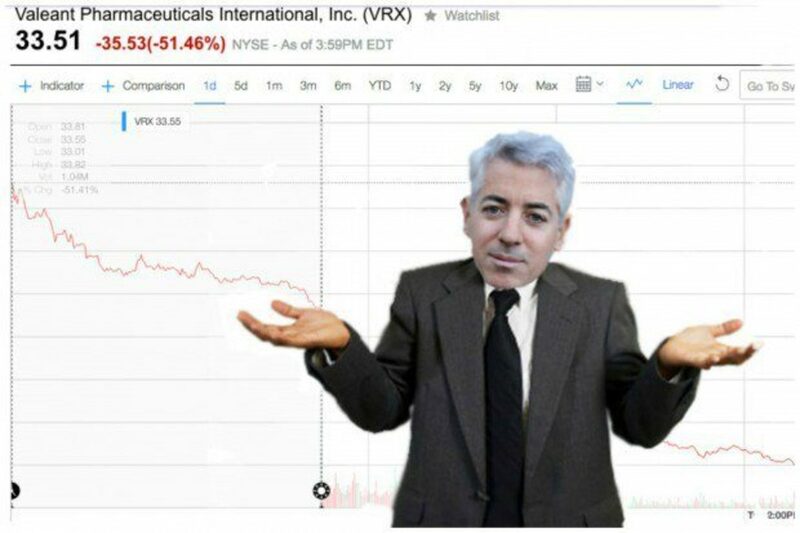 Pry your eyes from the polls for a moment and stew in some Ackman schadenfreude. When Valeant Pharmaceuticals announced last month that it would hold its third-quarter earnings call on election day, investors should have braced themselves for some sobering news. A charitable observer might chalk up the dubious timing to the company&apos;s Canadian domicile, but functionally speaking, Valeant is headquartered in the decidedly American environs of Bridgewater, New Jersey. 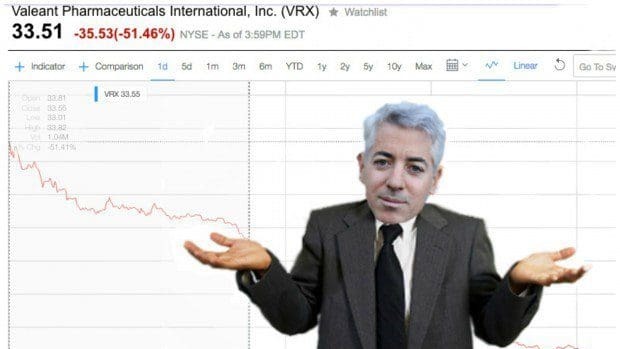 But despite Tuesday&apos;s electoral hubbub, Valeant&apos;s shareholders – most notably Bill Ackman – haven&apos;t missed the company&apos;s dismal quarterly financial results. The stock fell by more than a quarter in the first hour of trading, on news that revenue dropped 11 percent while profits of $50 million last year flipped to a massive $1.2 billion loss this past quarter. That loss came in large part from a $1 billion goodwill impairment charge taken to revise Valeant&apos;s valuation of Salix, the gastrointestinal drug unit Valeant acquired last year for $14.5 billion. Now that Valeant is shopping Salix around for a sale, the unit has apparently lost some of its luster. That&apos;s not the only bad Valeant news to drop over the last 24 hours. Late Monday, Business Insider revealed details from an internal August 2015 meeting, in which executives discussed the importance of routing more of its drugs through shadowy specialty pharmacy Philidor RX, whose existence only became known in October 2015. As we later learned, Philidor, which was controlled almost entirely by Valeant, was involved in all sorts of questionable sales shenanigans, whose brazenness made Valeant&apos;s standard price-gouging model look quaint by comparison. The new report makes clear that Valeant was pinning its hopes and dreams on Philidor to an extent not fully appreciated until now. The eventual severing of ties with Philidor led Valeant to reduce its sales forecasts and retool its business model. But with Valeant executives now slashing revenue guidance once again (by roughly 5 percent for 2017) it&apos;s clear that Philidor wasn&apos;t the only bad apple within Valeant – whose former executives are now under criminal investigation. 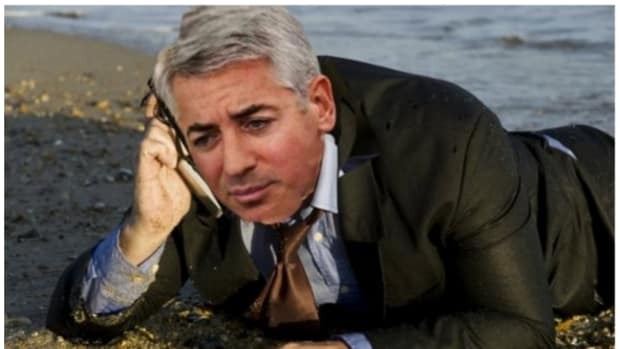 So if you see your preferred candidate losing today, take a moment for some Ackman schadenfreude. 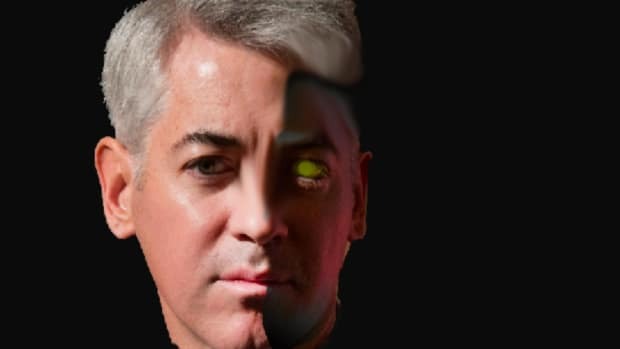 Pershing Square&apos;s initial $3.3 billion investment in the woebegone drugmaker is down more than 90 percent, to roughly $250 million. All hope now rests with Chipotle. Three billion dollars is a small price to pay for true love. 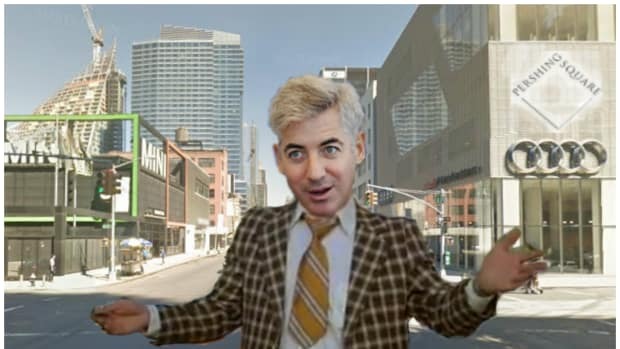 The best thing that can happen to an investment nowadays is for Bill Ackman to be wrong about it. The Ack Man ain't hating on The New Year... yet. The ADP-Pershing Square battle is going about as expected. The eureka moment: "I need to make money."